This is a small and intimate, boutique-style property with just 11 rooms, some of which benefit from great views of the city skyline and New Year’s Eve Harbour Bridge fireworks from a private a balcony or rooftop penthouse terrace. 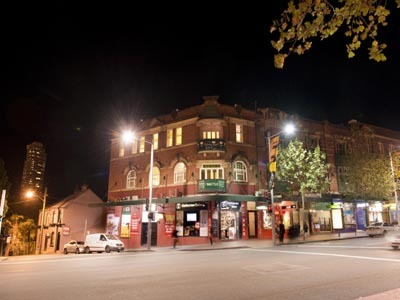 The Wattle Hotel on Oxford Street sits proudly in the vibrant suburb of Darlinghurst, just 5 minutes walk from the Sydney CBD and right at the heart of the artistic café culture of the area. More fantastic city and firework views are to be had from the rooftop garden and BBQ area. 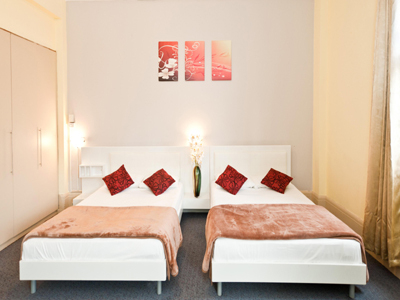 This is a superb option for a romantic New Year’s Eve hotel or a New Year’s holiday with friends or a large group in the Grand Family Room which can sleep up to 6 guests. The area is full of boutiques which are joined by a range of bookshops, specialty stores and nightspots as well as nearby Surry Hills’ quirky cafes and great lounge bar scene. 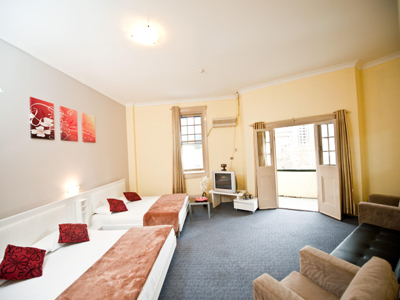 Eve celebrations, is a pleasant walk away through Hyde Park and your front door is just 15 minutes from the fireworks at the Harbour Bridge and Opera House. conditioning, a kitchenette and TV with DVD player. One Queen Bed. 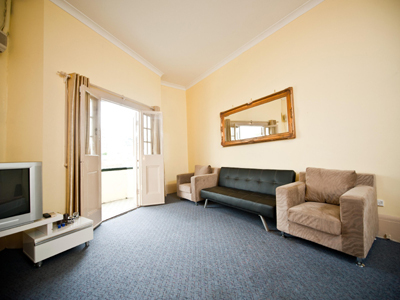 En suite, kitchenette, LCD TV and arm chair. One Queen Bed. 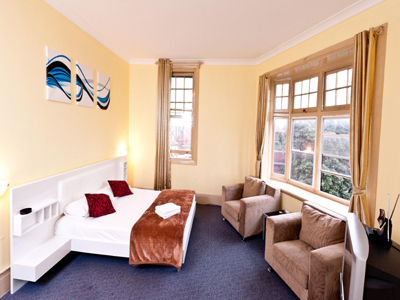 En suite, kitchenette, LCD TV and arm chair and private balcony/terrace with city views. One Queen Bed. 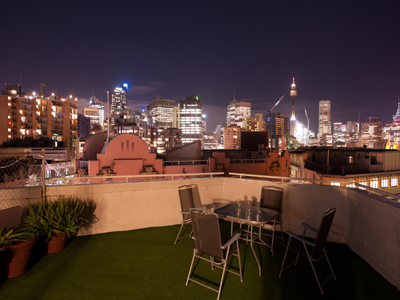 Direct views of Sydney Tower and Harbour Bridge fireworks from rooftop terrace with a sunroom. Two Queen Beds Or Two Queen Beds and One sofa Bed. 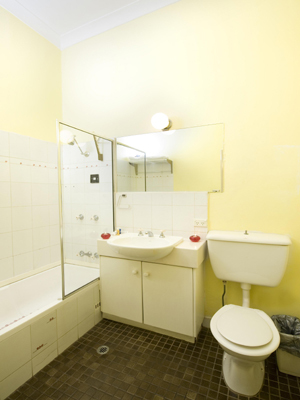 En suite, air conditioning, LCD TV, kitchenette. Directions to parking: Sydney Wattle Hotel does not have its own parking area.However, there are car parks nearby at a cost. The closest one is St Vincent's Hospital Car Park, which is only 5 minutes away by foot, entry via Victoria Street, and the cost is AU$26.00/day currently. There are also off-street free parking spots and loading zones available in surrounding area with 4hrs, 2 hrs or 1 hr limitation.